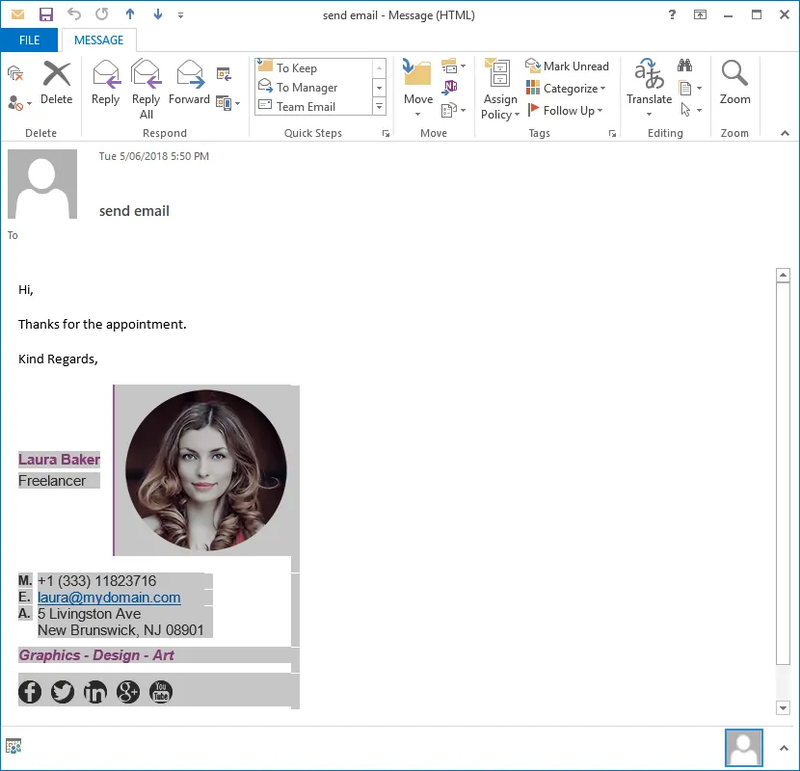 In this guide, we’ll show you the Outlook signature location as well as how to import or export an existing email signature in Outlook. Changing your computer is often a huge hassle, especially when you have to install and set up all your applications and settings again. It’s never an easy task, and that’s why the least we could do is show you the most efficient and easiest way to deal with your email signatures when migrating. 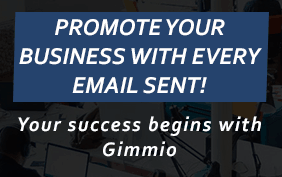 After all, email signatures are our business! In order to get to this location, you will need to browse to it on your computer (more on that in the export section). 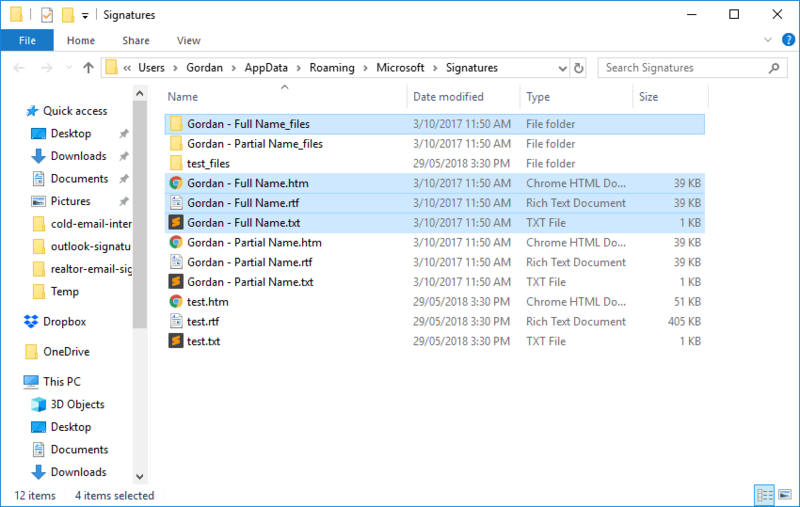 All your Outlook email signatures are stored in files which have extensions .htm, .rtf and .txt and also a folder with the name of your email signature. 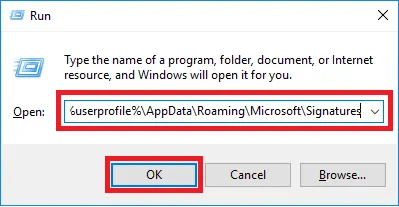 The %userprofile% is a system-wide variable which means it will go to the profile of the user which is logged in. 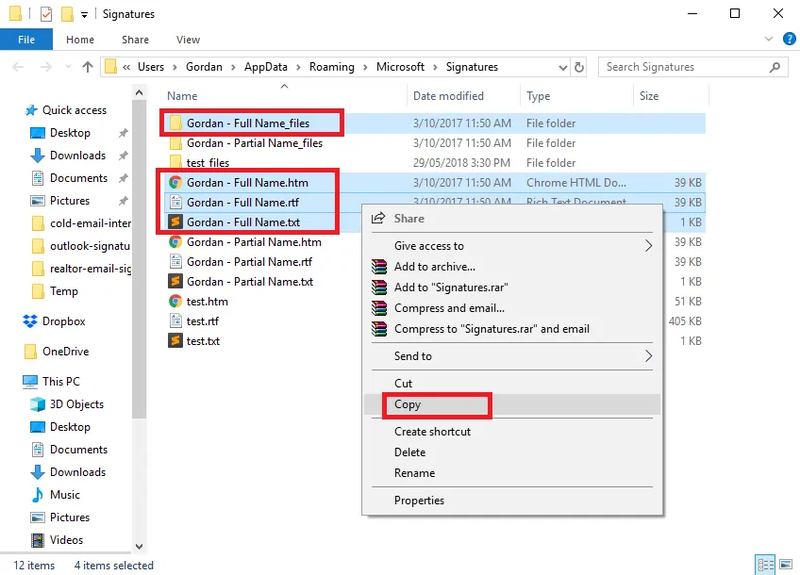 This is by far the best and easiest way to copy your email signature to another computer when using Outlook. 1. 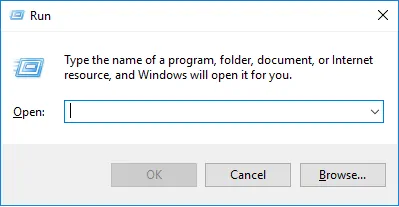 Open Outlook on your new computer and wait for your mailbox to sync all your emails. Once your emails are synced, go into your ‘Sent Items’ folder. 2. Find and open an email you have sent previously, which has your email signature in it. 3. Select and copy the email signature by pressing Ctrl + C on your keyboard (or Command + C for Mac users). Alternatively, you can right-click and select Copy. 4. Install the email signature in Outlook. 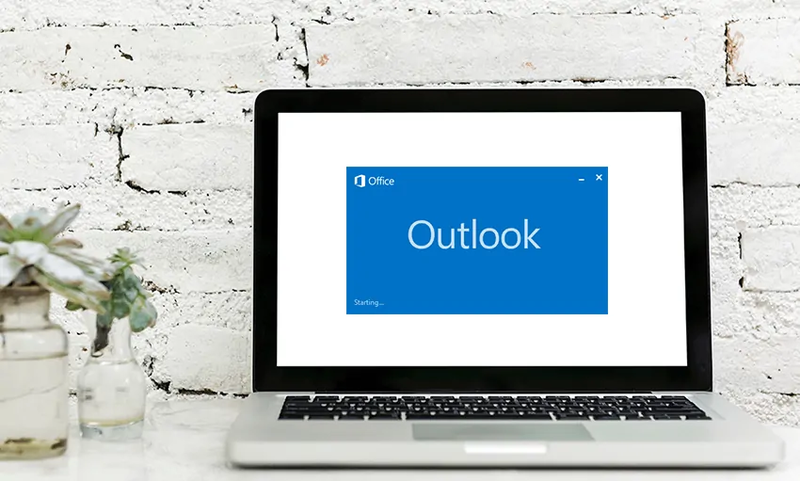 Note: All Outlook versions have different installation steps, so please check our email signature installation resources and select your version of Outlook for exact instructions. If you want to export your email signatures into files and keep them for later, this is how you do it. 3. There will be 3 files and 1 folder with a name that you have given your email signature when you created it. The files will have .htm, .rtf and .txt extensions. Those 3 files and 1 folder are needed for your email signature to work correctly. 4. Copy those 3 files and 1 folder (using Ctrl + C) and paste them to any media of your choice (eg. thumb drive). 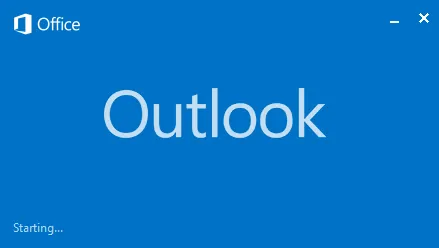 You have successfully exported your Outlook email signature files. 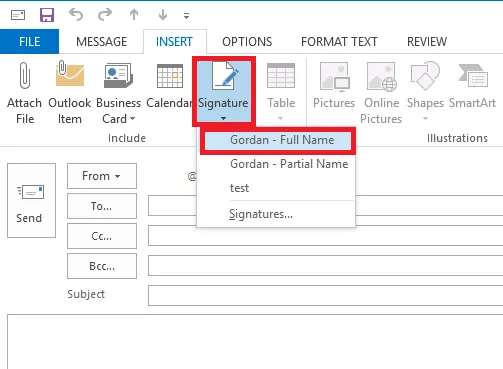 Follow these steps if you want to import your email signatures into Outlook. 3. Open the location where your email signature is saved (the 3 files and 1 folder) and paste (or Ctrl + V) them into the above location. 4. Open Outlook and click to create a new email message. Click on Insert > Signature and you should see your email signature available from the list. You have successfully imported your Outlook email signature.